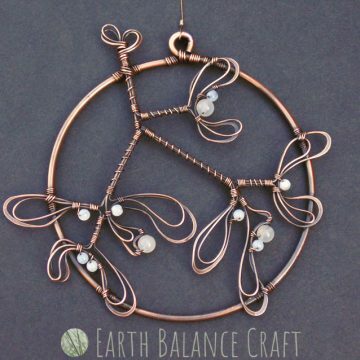 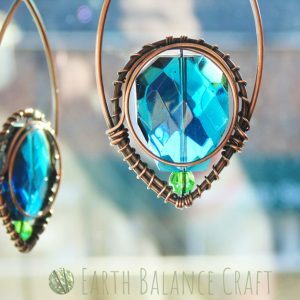 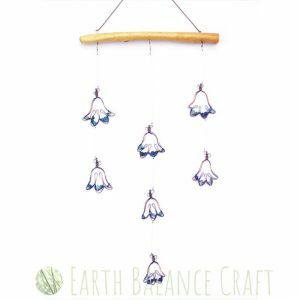 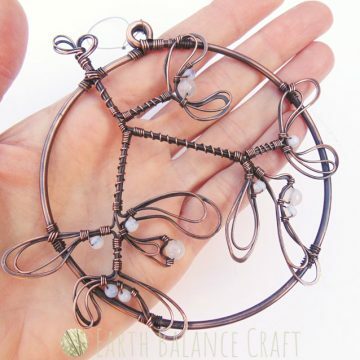 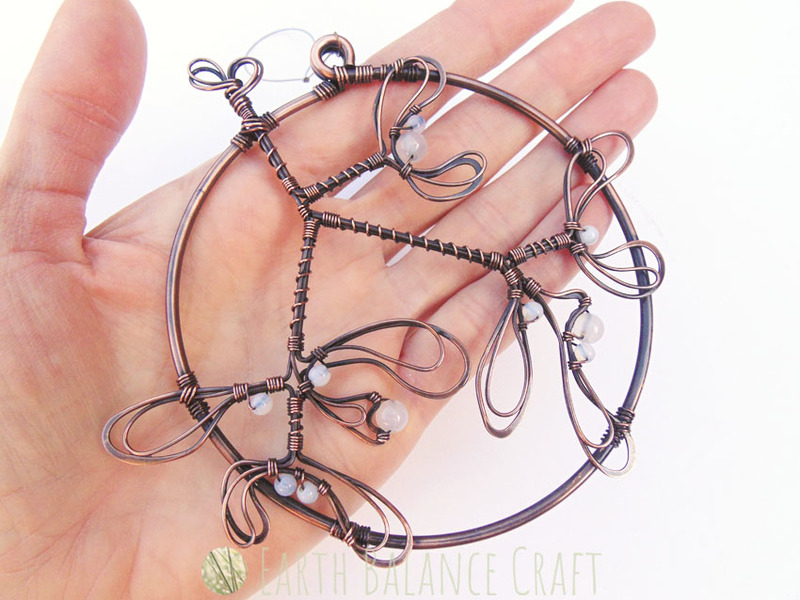 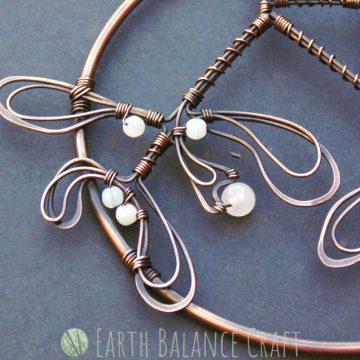 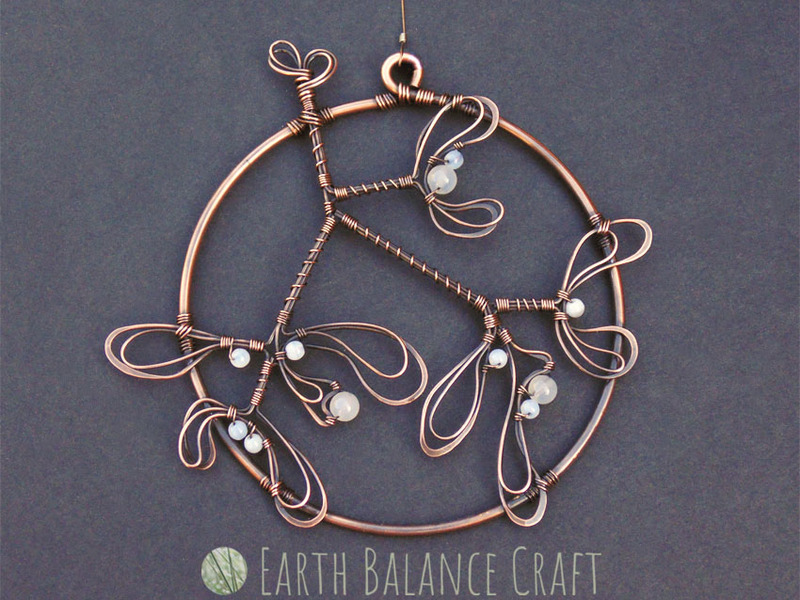 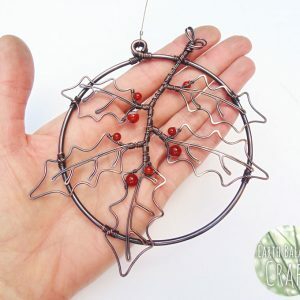 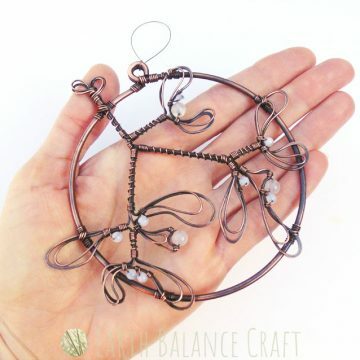 Botanical Mistletoe Decoration - Festive Copper Wire Crafts. 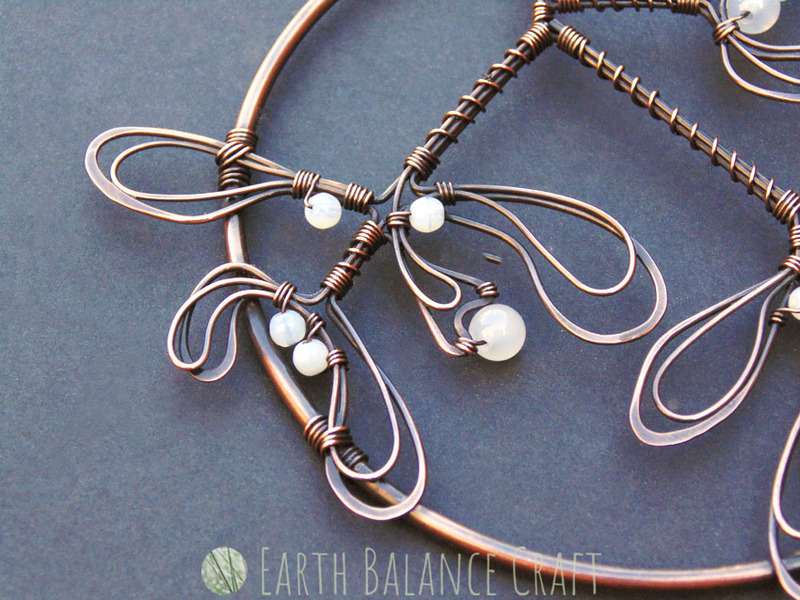 Beads: Agate and druk glass. 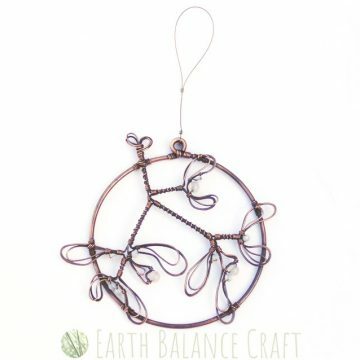 Metal: Solid copper metal with a patina finish polished to reveal the warm coppery tones beneath. 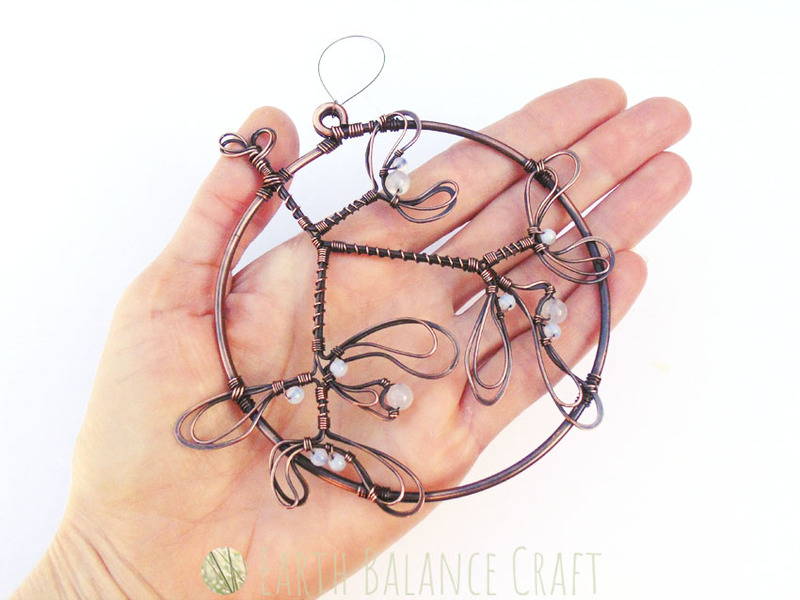 The copper has been hand-painted with a clear gloss varnish. 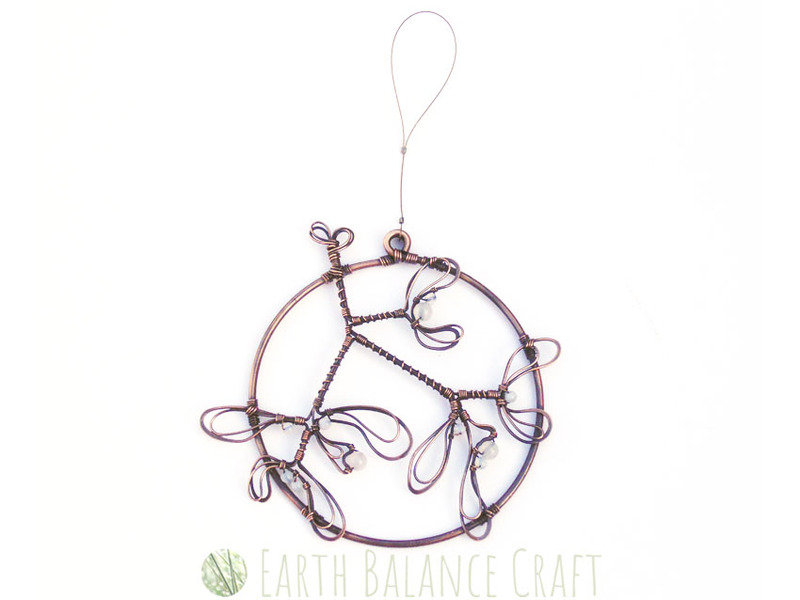 Diameter Approx: 9.5cm / 3.7 inches.